INDIANAPOLIS -- Indiana would require stores selling electronic cigarettes to be licensed and would tax the battery-powered devices like traditional tobacco products under legislation lawmakers will consider in their session that begins Tuesday. Republican state Rep. Ed Clere of New Albany said Friday the bill he'll sponsor is aimed at combatting the growing use of e-cigarettes among Indiana's youth. Clere's bill would include licensing stores that sell e-cigarettes, taxing the devices like traditional tobacco and adding them to Indiana's statewide smoking ban. His proposal would also require the containers holding the nicotine-laced liquid that's vaporized inside e-cigarettes to have child-resistant packaging. 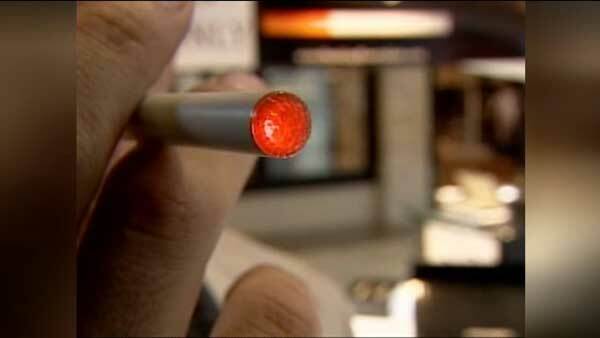 Indiana law prohibits the sale of e-cigarettes to people under 18. Attorney General Greg Zoeller calls e-cigarettes "a drug-delivery device" the federal government hasn't done enough to regulate.